Finished the Boar Cleavers. Definitely want to get more to bulk up the unit to 20-25 figures! They look amazing as a fully-formed unit - love the dog! You should definitely expand the unit. Thanks! 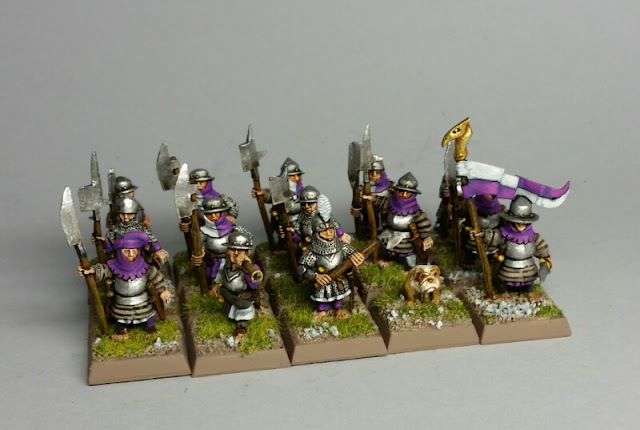 I'm going to order some more, but I'm also tempted to convert some of the spear-hobbits to halberd-hobbits using the halberd heads from the really old plastic GW Empire kit.